On day first we will explore some UNESCO heritage sites and which are Kathmandu Durbar Square is one of three durbar square (royal palace) squares in the Kathmandu Valley whose main attractions are Kumari (Living Goddess), Kalabhairav, Freak street, Taleju Temple (skyscraper pagoda form 16th century), Nasal chowk and many more.Swayambhunath, 2600 years old Buddhist Stupa, is world renowned Buddhist sacred place. It crowns a hill overlooking the Kathmandu Valley and offers fantastic views over Kathmandu city. Temple area consists of shrines and statues of Buddhist and Hindu deities, ancient sculptures, monasteries etc. Patan is an ancient city containing huge collection of finest workmanship of Newari, Hindu and Buddhist monuments. Shikhara style Krishna Mandir, Patan museum along with temples constructed by Malla kings are main attractions of Patan Durbar Square.Boudhanath. Bhaktapur, the city of devotees, delivers medieval settlement with a number of cultural and historical squares. Dattatraya temple, five storied Nyatapola temple, 55 window palace, golden gate are some of the many architectural showpieces of Bhakatapur Durbar square. Welcome to city of temple, Kathmandu from where your adventure land of mountains, Nepal comes to be to start. After clearing through immigration and customs at the airport, you will be received by our pleasant staff and moved to our guesthouse in the vibrant city, Thamel. The Hovering around that territory you can explore distinctive shops in each footstep to fulfill your needs. The remaining afternoon is yours. Check in hotel. We will pick you from hotel and drive to Swayambhunath temple located at hill of Kathmandu valley. It is also famous for Monkey temple because of presence of monkeys over there. It has been listed on UNESCO World Heritage Sites. We can have glimpse of varieties of stupa and shrines of Lord Budhha. There are two ways to reach to main place of temple. One is walking through long stairway of 365 and another is through private vehicle. Then we will drive to Boudhanath located at Kathmandu. It has been listed in the UNESCO world Heritage site. We can have eye witness the Buddhist stupa of Boudhanath which is so mass appealing one. It is the largest in the world also. Furthermore we will drive to Pashupatinath temple located at 5km north-east of Kathmandu valley. It is located on the banks of Bagmati River. It has been also listed on UNESCO world Heritage Sites. It is one of sacred temple for Hindu religion. Then drive to Budhha stupa. Moreover we will drive to Patan Durbar Square located at Patan of lalitpur. It is a palace of Malls kings in ancient period. We can have glimpse of Krishna Mandir, Bhimsen Temple and Taleju Bhawani temple. The palace has three layout which are keshav narayan chowk,Mul chowk and sundari chowk. Then drive back to hotel. After having breakfast on dawn, we will drive to Bhaktapur Durbar Square. It lies on 13 km east of Kathmandu. It is the Royal Palace of Baktapur kings in ancient days. It has been listed in UNESCO world heritage site.The vital magnetism of Bhaktapur Durbar Square are 55 window palace, Batsala temple, statue of Bhupatindra Malla, Nyatapala temple, Golden gate, Lions gate and Mini Pashupati temple. We will drive to Changu Narayan Temple. This temple is situated at Bhaktapur District and surrounded by Champak tree. It is the oldest temple of Nepal. It has Shrine of Lord Shiva worship by the Hindu Community. It has Manahora River flowing over it. 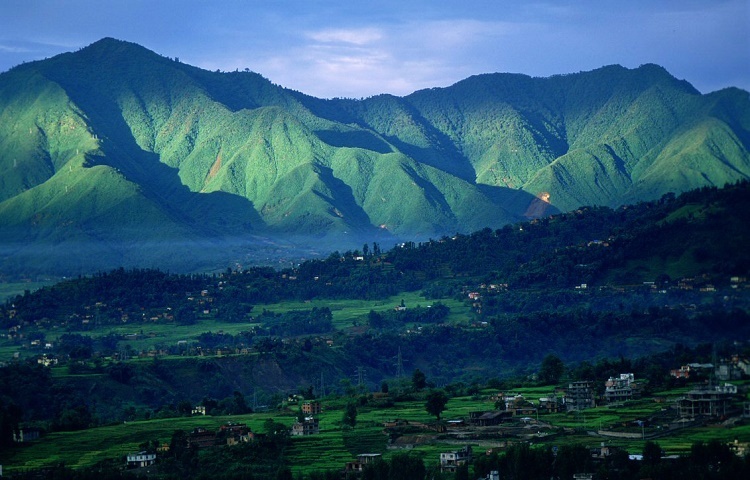 Drive to Nagarkot village renowned for sunset and sunrise glance of Himalayas, and we can relish marvelous sunset outlooks amidst by Himalayas. Overnight stay in Nagarkot. In dawn we can foretaste sunrise outlooks amidst by Himalayas. After breakfast we will drive to Tribhuvan International Airport located on Kathmandu to have flied to Nepalgunj located on western Development Region. Upon your arrival on Nepalgunj airport, our company representative will address you. This national park is 90 km (2 hours drive) away from Nepalgunj. We will check in our resort. After refreshment we will towards to visit local inhabitant of Tharu village. 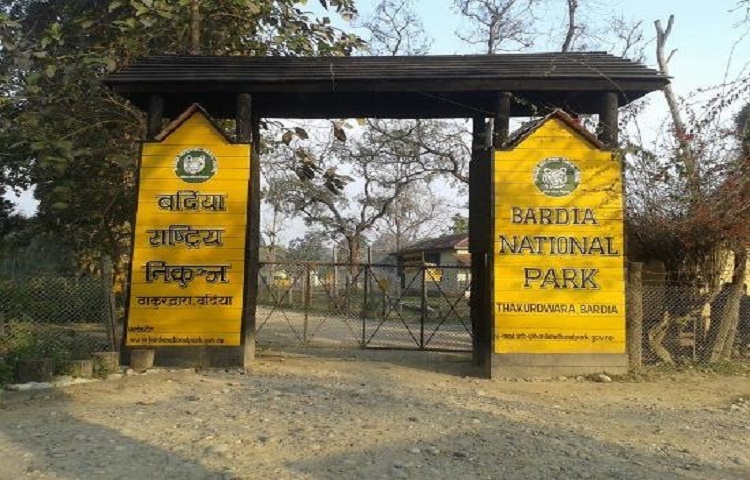 We will visit Bardia National Park visitor center and its crocodile farm. 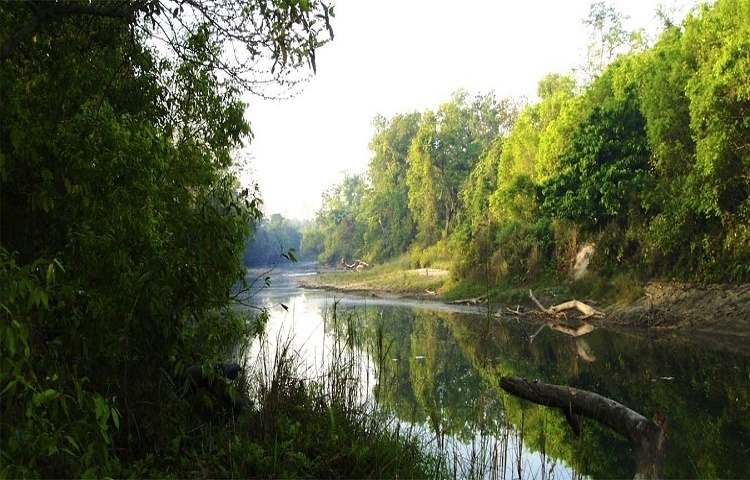 Overnight stay in Bardia National Park. Post breakfast, we will return back on Elephant safari which is so astonishing because elephant helps to protect us from the danger that could be encounter on the way due to wild life. An elephant is being ride by a Mammoth friend, so we do not need to worry. Generally, elephant heads towards northwest, so we can have glance on birds, deer, rhino, and monkeys and so on. Company representative of leaf holidays will pick us from airport and transfer to our hotel. Overnight stay in Kathmandu.